Too-Ashuu is known as one of the best places in Kyrgyzstan for skiing on virgin lands. The snow-white mountains, the light breeze, the floating clouds and the quite steep turns of the road are all creating a truly breathtaking scenery here. Helicopter skiing or heli-skiing is a type of backcountry skiing / free-riding which involves a helicopter to access remote areas and slopes of virgin powder snow. Chances are that you already know what heli-skiing is about, but for those who have never heard of it before, here is some information about this type of adventurous skiing: First of all, heli-skiing is an activity of downhill skiing / snowboarding which takes place in untouched snow, on remote mountainsides, away from the groomed slopes of a ski resort. What separates heli-skiing from other types of freeriding and backcountry skiing is that skiers and snowboarders are flown by helicopter to the top of these remote slopes. Using a helicopter allows the skier or snowboarder to quickly reach stunning heights and spectacular slopes otherwise difficult to access. Heli-skiing is a truly unique experience: it combines the magical sensation of getting a bird’s-eye view of the mountain world, and the thrill of gliding through powder snow, down pristine slopes may-be never skied before. This is why heli-skiing has become a popular thrill-seeking adventure, attracting more skiers and snowboarders every year, from first-timers to expert free-riders. Heliski’s programs allow you to ride in unlimited space in the snow-capped mountains of the beautiful valley of Suusamyr. 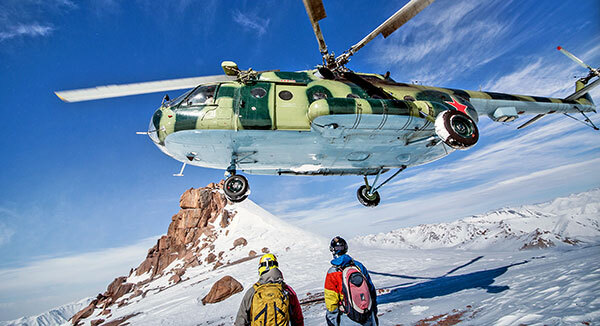 Heliski in the Suusamyr Valley begins in mid-January and lasts until April. 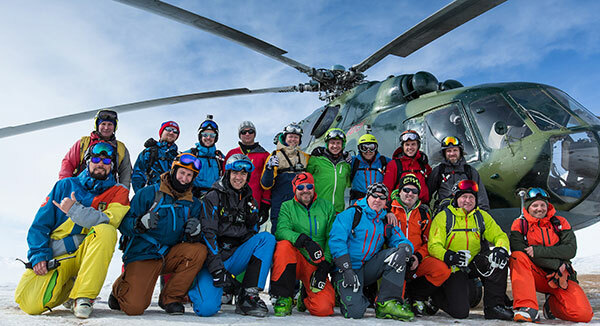 Depending on the type and carrying capacity of the helicopter, a group of skiers can be several people. As a rule, the group is accompanied by a guide, who knows the peculiarities of descent on various slopes. In order to practice heli-skiing, skiers must have a good knowledge of the technique of descent over the snow on the slopes of varying steepness. To ensure safety, each skier must have an avalanche sensor, an avalanche probe, a shovel and other necessary equipment to quickly search for people in the avalanche. There is a high danger of falling into an avalanche.